In response to the Call for Solidarity Demonstration on September 9 in the recent issue of Under Lock & Key letters are coming in from prisons across the country. 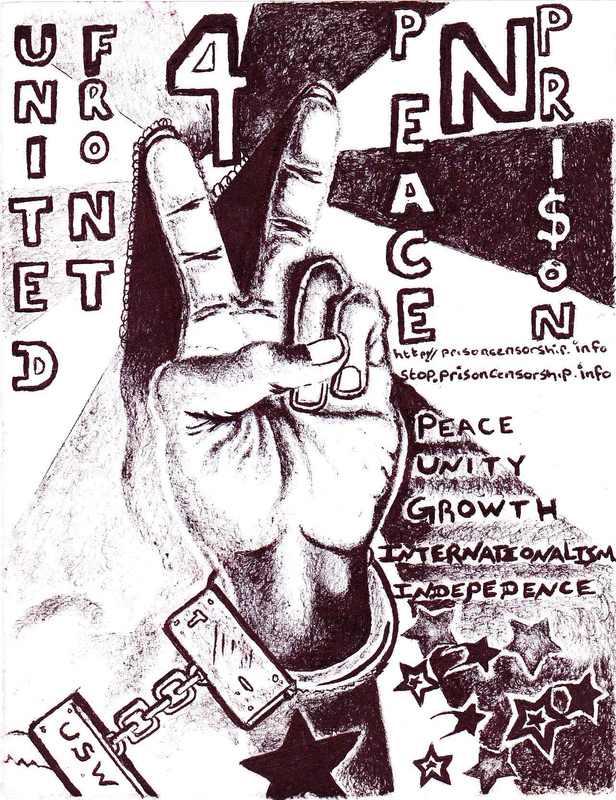 The solidarity demonstration is timed to coincide with the anniversary of the Attica uprising, and during the 24 hour work and food strike prisoners will focus on building unity and peace among the prison population. This is short notice to organize in the severely restricted conditions found in most prisons, but comrades behind bars are doing what they can, with at least one person pledging to start now to build for next year. In Nevada we heard: "I have been doing my part on getting as many people as I can to sign up for September 9, 2012. Here at High Desert State Prison they are constantly taking away what little we have and I look forward to sticking it to them. So far I have recruited 20 people just myself in the past couple of weeks from all races. Just imagine how many more by the time our time comes!" 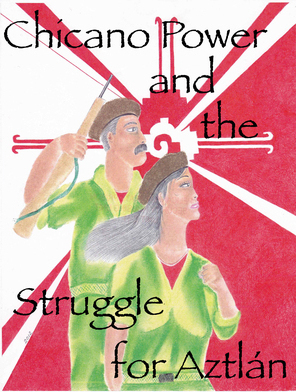 From Missouri we learned of comrades participating and using this opportunity to study this history of the Attica uprising: "I would like to request study material of all sorts for this coming August in solidarity regards. Our mission is to improve self from conditions and we gain understanding through great experiences of this nature, a struggle that's mighty, yet achievable. We'll detail progress in the coming months. September 9th we will partake in our common sights." Another comrade in a Federal prison in Texas has been sharing ULK 27 with others and pledged to fast on September 9. Organizers like this one from Pennsylvania are eager to hear news from the demonstration in the next issue of Under Lock & Key: "Please make sure I get my next issue [of Under Lock & Key], copy due the week of the solidarity demonstration on Sunday September 9, 2012. From midnight September 8 to midnight September 9 in a show of solidarity I will be strongly participating!" This is a good reminder to all participating that we need reports immediately after the demonstration to make it in to the next issue of ULK. From the state that had it's own broadly supported food strike last year (starting July 1, 2011), we heard from organizers building for September 9. One California prisoner wrote: "I am in the call for solidarity demonstration September 9, 2012 and I will be fasting on that day, etc. Thank you for all your help and moral support that you have given to me in the last ten years." Comrades are spreading the word about the September 9 demonstration in any way they can. This person from New York sent us a handwritten kite he passed to another brother at his facility: "Bro. - Please pay close attention to the article 'Call for Solidarity Demonstration September 9' on page 3. Let me know what you think. I've decided to fast on Sept 9th." The response was written on the same paper: "Yes I will fast on that day, it looks better when we all go to chow but we just don't eat. Thanks for that information." This comrade noted that the short lead time on this demonstration will limit his organizing abilities this year, but he's already started to build for 2013. More comrades in North Carolina have joined the campaign: "The solidarity movement on September 9th is a go for the few conscious comrades behind me. It is definitely a time to remember this historic event that changed the prison system afterwards." And more prisoners in California are stepping up. One wrote letting us know that he has liver cirrhosis and is not going to make it out alive, but is very much engaged in the struggle for as long as he's able: "I will participate in your September solidarity. I share your publications with other prisoners. Each individual has his own set of beliefs, goals, values, etc., I can only express what I feel is right. I thank you for your moral support represented in Under Lock & Key. 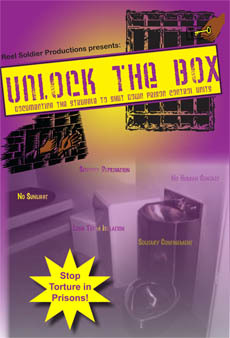 Those confined in the SHU lockdowns need all the support your group provides." A group in Florida is working to pull people together for an act of solidarity on September 9th. A comrade in Kansas made hand written copies of the call for solidarity demonstration and sent them to 17 prisoners at his facility. At least a few of them agreed to participate in solidarity.